Valladolid is located in North-Central Spain. The city is situated at the confluence of the rivers Pisuerga and Esgueva. Valladolid is one of three wine regions. The city is the capital of the province of Valladolid. 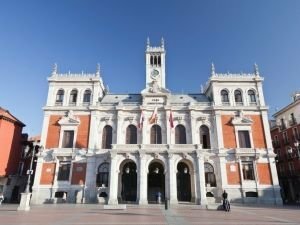 Valladolid has a population of about 318 000 people. It is believed that the town's name derives from the ancient term "Water Valley". According to another explanation of the name comes from the words "solar valley". The city is known locally as Pucela. It is likely to be associated with the knights who accompanied Joan of Arc. They were known as La Pucelle. The region where today Valladolid is located was under the control of the Moors in the tenth century, Valladolid was a village. It ended when King Alfonso donated land to Count Pedro Ansúrez in 1072. The Count built a palace for himself and his wife. In the twelfth century Valladolid was growing rapidly. This is mainly due to commercial privileges, donated to the town by Alfonso VIII and Alfonso Tenth. In 1469 Queen Isabella I of Castile and King Ferdinand of Aragon had a lavish wedding in the city. From the fifteenth century, over a long time Valladolid was the seat of the kings of Castile. Valladolid was the capital of Spain until 1561, when the city was destroyed by conflagration. Then the capital was moved to Madrid. 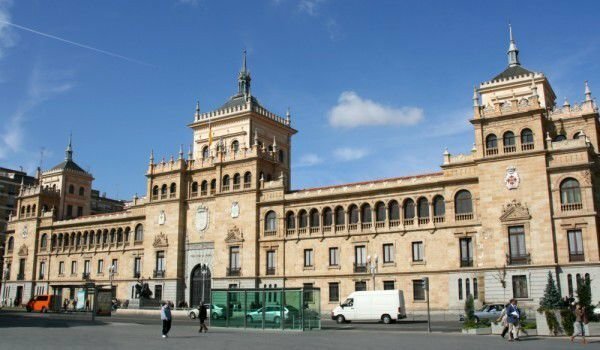 This is a period of decline for the city of Valladolid. The city is also known by the fact that in 1506 here died Columbus. Today the house in which Columbus died, is turned into a museum. During 1601-1606, the city again became the capital of Spain. Then again, Valladolid is broken - this time from the flooding of the two rivers. In the sixties of last century the city grew and suffered serious economic development. This restores the old glory. Among the interesting buildings in the city of Valladolid is the unfinished Cathedral, commissioned by King Philip II. The church was unfinished due to financial problems. Another interesting religious building is the Gothic church of San Benito, which was built in the sixteenth century by Benedictine monks. It features an interesting tower. Among the landmarks of the city is the church of El Salvador. In the city is the theater of Lope de Vega. The building was built in 1861. The Museum of Contemporary Spanish Art stores more than eight hundred paintings and sculptures from the twentieth century. One of the most visited by tourists buildings is the Casa de Cervantes. There, the author of Don Quixote lived with his family for three years - between 1603 and 1606. In this house Cervantes wrote his great book.